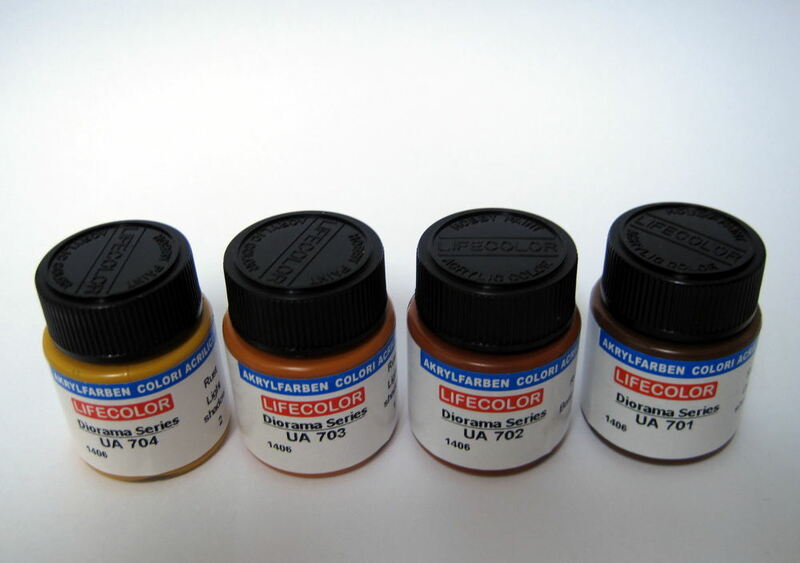 I applied these (from light to dark) on the already rusted areas. Then I applied pigments in light colors (light dust, concrete etc). The look of the debris was enhanced using different pigments (brick colors mixed from pastel chalks, rubble) that I sprinkled over the bricks and then fixed using pigment fixer. As a final touch I also added some dark oils to the rims of the steel door. Now the figures are ready to be fixed to the base. Then I will finish the helmets and the weapons.